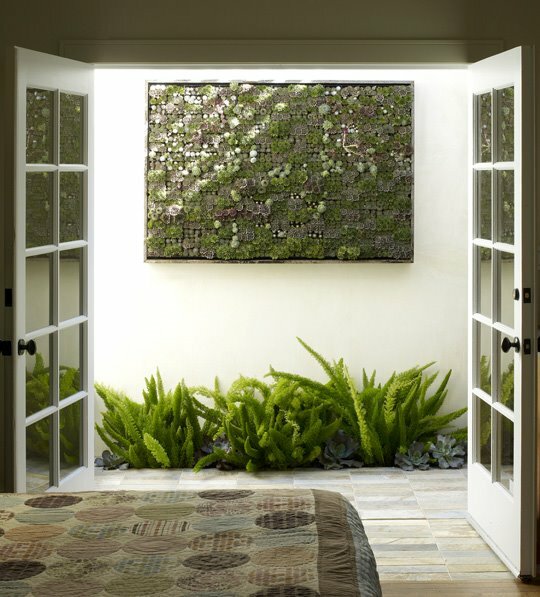 I saw something along the lines of this vertical garden a few weeks ago on Better Homes & Gardens, although I have to say that this version is much more interesting. It did look reasonably easy to make (but then they often do on that show). 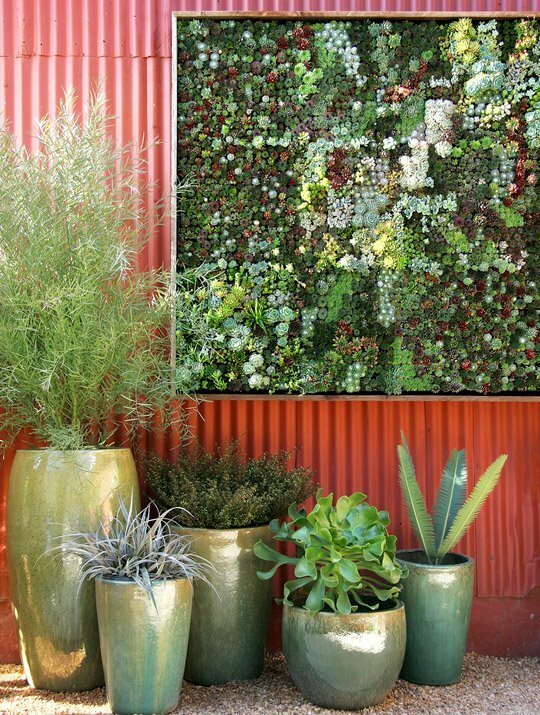 It is a vertical garden of easy-care succulents- great if you have limited space. I really like succulents, and this is an unusual way of displaying them. The one above looks like a living painting, and really complements the look of the bedroom.